Contrary to popular belief, fish can feel pain and suffer. Billions of fish are killed every year by the commercial fishing industry or for people’s entertainment. As soon as they are pulled out of the water, they begin to suffocate and their gills collapse. Fish who are killed with hooks suffer the added agony of having a weapon pierce through their flesh. As they wriggle and try to escape, their pain increases—and those who manage to get away are either permanently scarred or die from blood loss and shock. Many fishers claim catch-and-release fishing as a “humane” alternative to killing fish, but, in most cases, this method only prolongs their suffering. Researchers at the Oklahoma Department of Wildlife Conservation found that up to 43 percent of fish who were caught and released after fishing tournaments died within six days. Being removed from the water can erode a fish’s protective coating and fatally damage her fins and mouth. Hunting is called a sport, but the prolonged pain and suffering it causes animals is anything but entertaining. “Quick kills,” where the animal dies immediately, are rare. According to a member of the Maine BowHunters Alliance, about 50 percent of animals shot with crossbows are wounded but not killed. Many of these animals are never recovered and are left to slowly, needlessly die. For animals like deer, wolves, and geese who depend on each other for survival and migration, hunting literally tears apart their tight-knit communities. In addition to taking lives, the loud noise from gunshots disrupts mating, scares parent animals into fleeing their nests, and causes tremendous stress on hunted animals. Hunters often defend killing animals by saying they contribute to “population control,” but nature takes care of that on its own. Left alone, ecosystems are designed to balance themselves. Natural predators weed out weak and sick individuals while hunters aim for the “trophy kill.” By taking down the strongest and most impressive animals, they weaken the entire species’ population. 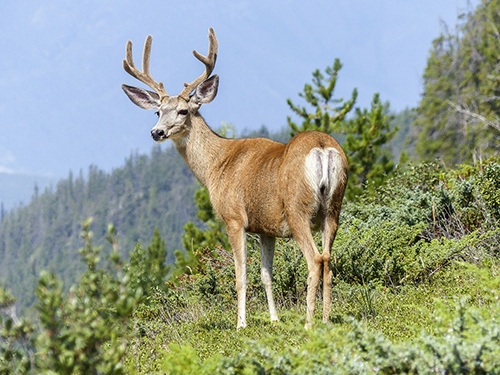 The breeding of deer, elk, and other species just for hunting—known as “sport hunting”—is both unnaturally cruel and upsets the health and natural balance of animal populations. Unfortunately, fishing and hunting are often touted as wholesome, kid-friendly activities, but there are many other ways to enjoy nature with your family without causing innocent animals to suffer. When we encourage children to pull animals from their homes on hooks and into an environment in which they cannot breathe, or when we encourage them to shoot innocent animals who have no way of defending themselves, we are teaching them to be callous rather than kind. Enjoying nature is a wonderful way to bond with your child and as a family. Try these activities instead: Going for a hike; canoeing or kayaking; bird, dolphin, or whale watching; visiting a wildlife rehabilitation facility; checking out a local nature center.